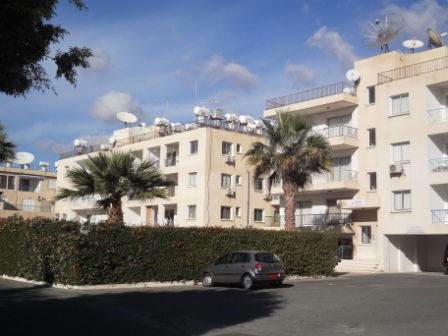 Cyprus Property Blog by Cleo : WOW - Great Price on 2 Bed with Deeds in Kato Paphos - NOW SOLD! • 75 sq. m., 1 bath, 2 bdrm apartment - €60,000 EUR - Title Deeds - Furnished - NOW SOLD! Kato Paphos, Cyprus - This spacious two bedroom top floor apartment is conveniently located in peaceful surroundings in the Tomb of the Kings area, just a short walking distance to the beach, and all the amenities such as shops, restaurants, banks and local transport. The property features a large open plan living and dining area, separate kitchen/breakfast room, two double bedrooms with fitted wardrobes and a family bathroom. Patio doors in the lounge lead onto a good size balcony with views of the swimming pool, and there is a second balcony off the kitchen.